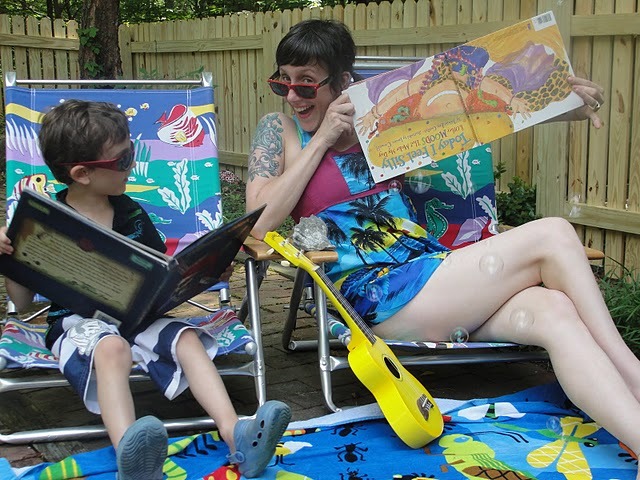 The Little School Community Blog: Happy Summer Reading TLS: A Book List for You and Yours, & Staff Spotlight on Super Jessica! 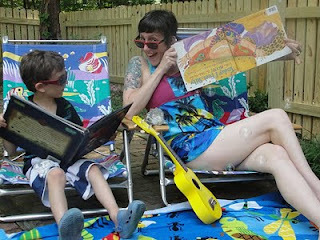 Happy Summer Reading TLS: A Book List for You and Yours, & Staff Spotlight on Super Jessica! Mabel blows a bubble that engulfs her brother and then the trouble begins! A friendly zookeeper who always made time for his good friends: the elephant, the tortoise, the penguin, the rhinoceros, and the owl. When Jonathan's parents decide that he has gotten too old to have a stuffed animal, they trade his favorite bear, Frederick, for a toaster, so he sets off aboard a boat, looking for Frederick. Along the way he assembles a ragtag crew, including a mountain goat, a lonely circus elephant, and even a friendly whale. A book about Jane Goodall. Oxenbury’s signature multi-cultural babies grace the pages of this book. Ideas about gratitude that make me feel grateful. National best seller, Last Child in the Woods, is the first book to bring together a new and growing body of research indicating that direct exposure to nature is essential for healthy childhood development and for the physical and emotional health of children and adults. Dirt, leaves, worms, bugs, stars, raindrops and watching trees grow...all of that fills I Love Dirt to capacity with 52 activities for parents and kids to do together. **shines** on Jessica Larson, better known as SuperJessica at TLS. She is super for many reasons: Mom of Vera and Gus being one of them and posting the blog another! She currently teaches with Paige and Michelle in the “Mighty Me’s” classroom. Jessica has her BFA degree from the School of The Art Institute of Chicago, with a major in photography. Jessica says, “I fell in love with art as a kid, specifically photography. There is true magic to be found developing a print in a darkroom, watching the image slowly rises to the surface. In 2000, I got the idea to make t-shirts with myself on them and have my friends wear them. The shirts took off and I named my company Super Jessica. I wanted to be like Hello Kitty or Andy Warhol (same thing, right?). Once I had my son, I got very BUSY and had to put SJ on the back burner. I have promised myself that I will return to it... in 18 years or so! Jessica, what book will you be reading over the break? We are currently reading The Hobbit with our son. We have just escaped the elf king and are heading towards Smog. If I can find some spare moments I'll be reading "Just Kids" by Patti Smith. It's a beautifully written story about Smith and artist Mapplethorpe's rise to fame. Man of La Mancha with Peter O'Toole and Sophia Loren. I’ve been singing it to the kids all week. I read Catcher in the Rye when I was 14, and it was the first book that truly spoke to me. He perfectly expressed so much of what a teenager feels. The book still gives me chills. If Hollywood made a movie about your life, whom would you like to see play the lead role as you? Amy Sedaris, if only so that we could hang out. If you could offer a newborn child only one piece of advice, what would it be? Don't take yourself so seriously (and let your Momma sleep in on the weekends). I don't understand the question! One of my favorite mantra's is "Would you rather be right or happy?” My answer is always BOTH, but I'll take happy. What is your happiest childhood memory and what makes it so special? Walking through the woods early in the morning. There is some serious serenity listening to the birds in dappled light. What did you want to be when you were 12 years old? I grew up in the DC suburbs during the 1980's. I clearly remember wanting to be either a painter, a political scientist or a corporate art buyer, a job that only existed in the 80's! I think that was Whitley's major in "A Different World". What do you value most or hold most dear (other than Gus and Vera :) at TLS? I truly work with amazing folks. Everyone here is completely devoted to making the lives of not just the kids, but also their co-workers awesome. Thank you to Jessica for sharing and for all of her awesome support! Thanks for the great list of books! 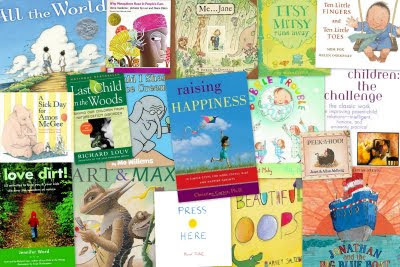 Here at our house we read everything from folk tales like Heckedy Peg to Dr. Seuss to books about the body and numbers...it's all fair game! As a librarian, I've heard a lot about a series called Captain Underpants for ages 4-8. Has anybody here read them? If so, what did you think?